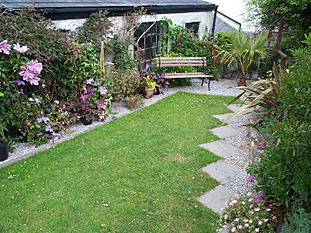 1 acre of clematis, roses, honeysuckle and unusual plants surrounding old mine captain’s house. Victorian conservatory and greenhouse shelter more rarites with scented plants as an additonal feature. Victorian conservatory and greenhouse shelter. 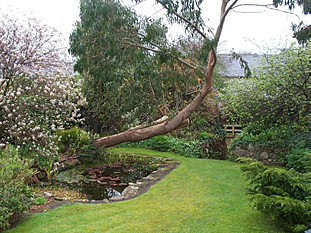 The Nursery – Situated in the village of Chacewater 4 miles west of Truro at the Truro end of the main street it is a one acre garden of rambling roses, honeysuckle, clematis and unusual plants surrounding an old mine captains house. A Victorian conservatory and greenhouse shelter more tender plants. 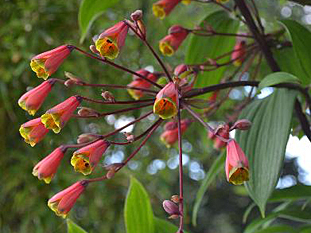 Scented plants are a feature of the garden which has a relaxed and unfussy style. Situated in the garden is a nursery specialising in climbing and conservatory plants plus many of the other plants grown in the garden. Roseland House is a holder of a NCCPG National plant collection of Clematis Viticella (cvs) The collection is distributed around the garden and on view. Turn off the A30 at the Chiverton roundabout taking the A390 to Truro, after 1.5 miles turn right to Chacewater (signposted) after 1 mile turn right again to Chacewater (signposted) Roseland House is at the bottom of the hill on the left, on open days please park in the village car park, or surrounding roads.